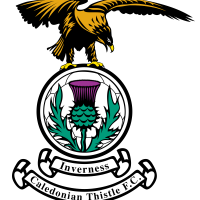 Jordan White’s equaliser was enough to seal a point for ICTFC at Tannadice and extend the club’s league unbeaten run to 20 games after Pavol Safranko gave United the lead in Robbie Neilson’s first home match in charge of the Arabs. Keeping with the Halloween theme, it was chance for Dundee United and the Caley Jags to dust off cobwebs after the international break. The home team were desperate to hand their new boss, Robbie Neilson, the cherry on top of his unveiling and ICT were eager to extend their unbeaten run. 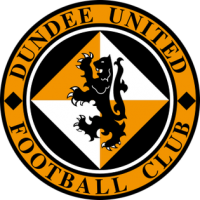 Dundee United tried to work an effort on goal from the kickoff to settle Neilson’s reign, but going against the grain, ICTFC dominated for the first 20 minutes. The away team looked confident going forward, taking advantage of Utd failing to settle into their rhythm. Liam Polworth jinked past an orange shirt to tee up a cross from Tremarco in space on the left hand side in the early minutes. The low fizzed cross from the captain was dispatched to Jordan White but it was too hot for either the Scot or his marker to handle. Ricky Calder was the only change in the Caley Jags’ lineup for this game and he looked eager to test the defence with his speed. On the break, he had a give and go with a driving Polworth but Liam’s whipped in shot deflected out for a corner.Shortly after, ICT took advantage of a loose ball and Polworth’s pass was squared to Joe Chalmers. With a glint of goal in front of him, he had a pop from 25 yards but it knicked off a trailing defender’s leg and out for another corner. But as the nerves started to settle, the home team could’ve opened the scoreline with the best chance so far of the game. Fyvie took the ball in the middle of the park and cut out a few ICT players with a measured forward ball. After striker, Sakfranko was met with two Caley Jags defenders close together in the box. After it pinged between the three, the ball eventually bounced up nicely for the Slovenian and if it wasn’t for a late block by Brad Mckay, he would have his pick of the goal. This near goal seemed to embolden The Arabs with a long period of dominance until the end of the first half. On the right hand side a flash of peroxide in the shape of Fraser Aird pushed past Tremarco to hammer an effort goalwards but Brad threw himself in front of it again.Dovetailing with Aird, it was Frederick Frans’ turn to attack and after nicking past two ICTFC players and cutting inside, he passed to his opposite, Aird in the middle of the park. The Canadian International fired it just wide of the near post. The Caley Jags were throwing themselves in front of every effort, frustrating the home team to no end. A late corner in the first half produced a good attempt on goal from Dundee United, but their header was saved by the leg of Welsh on the line. Early into the second half, Calder received the ball in the box from a long ball and the winger piroueted past Murdoch to the edge. The Englishman tee-d up Carl Tremarco and his lifted cross was met by White. The striker managed to reach the ball first but he couldn’t direct it into the net, with the ball looping on to the top of the goal. But eventually the home team would open the scoring after another period of pressure. A player from departing Laszlo’s tenure was the one to set things in motion for the new gaffer, Neilson. Safranko craned his neck to direct a header into the far top corner from an Aird corner on the 55th minute. Perhaps with adrenaline high from the first goal, it would be natural that emotions might be harder to keep in check. Brad Mckay went low for a tackle on Fyvie and the former Aberdeen player wasn’t satisfied with the contact made as both were booked for their altercation, and it took a minute or two for players to keep them apart. Again, Dundee United had most of the ball and were pressing for a goal to extend the lead but true to form, The Caley Jags’ resilience held out and they managed to grab an equaliser. Polworth took a free kick from the right hand side and his pass was met. The ball didn’t come off cleanly, but it sailed away from goalkeeper, Siegrist’s hands and into the net. At the time it was unclear who scored but Jordan White claimed the effort in the stramash of arms, legs and shoulders. The ball seemingly clipping off the back of his head. Coll Donaldson made sure to celebrate the goal with gusto with the away support having received some special attention from his former club’s fans. ICT could’ve rounded off the comeback after a cushioned pass to Jordan White in space was passed through. With the GK stuck in no man’s land, unable to decide to rush or stay put, White had a tight angle to aim for. He aimed for the near corner but his effort didn’t have enough curl and it hit the side netting – a great chance to lead for the away side. After a previous booking in the game, Coll Donaldson had to be careful with his battles in a tight game. At the 82nd minute, he stretched to grab the ball from substitute Nicky Clark, but he caught the player late. The referee was forced to book him for the second time, giving Coll his marching orders. With one extra man, Dundee United flooded the Caley Jags’ half for the last ten minutes. But they couldn’t break the defence down to fashion a winner. The game ended deadlocked at 1-1, with the away team coming off more pleased than the other. It was a valient game from ICT as they managed to weather the orange storm, once again demonstrating how tough a side they are to beat.